To The Telegraph, it was worth £160 million. The Daily Mail and The Sunday Times both valued it at £180 million, while The Daily Express plumped for £200 million. 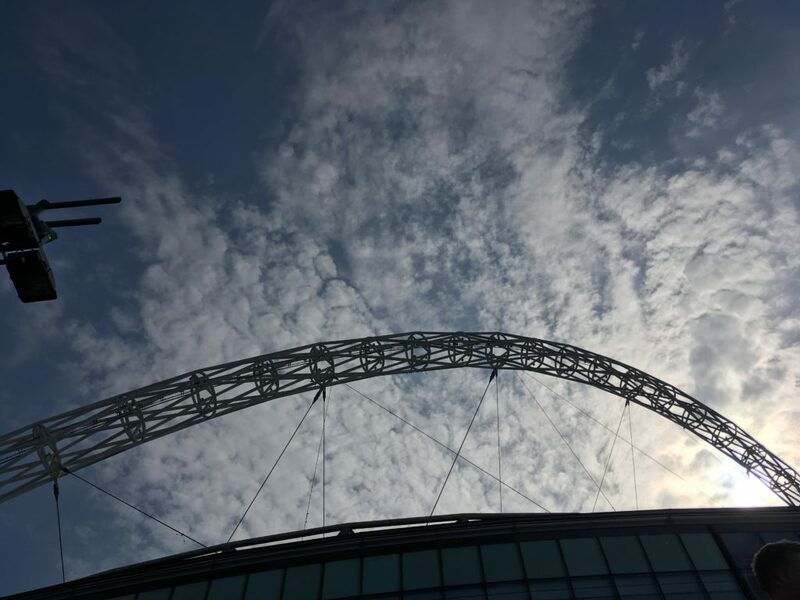 You get the idea and we hear it every year: the Championship play-off final, contested by Aston Villa and Fulham last Saturday, is worth a huge amount of money to the victors thanks to the Premier League’s enormous TV deal. Yet something was missing in the coverage that followed the Cottagers’ 1-0 win at Wembley – something I’d like to try and articulate as a Fulham fan, rather than a journalist. 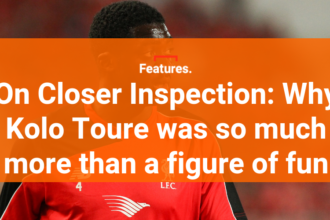 The truth is, I can’t remember hearing another supporter – not one of the thousands clad in white on Wembley Way on Saturday, nor any of the regulars at Craven Cottage throughout the season – talking about the financial repercussions of victory. Well, except one. “Think about the parachute payments!” beamed my dad. I found that a bit weird but perhaps he just is, given he drove a seven-year-old me away from the clutches of supporting the dark force in blue a mile or so down the road. If you’d seen him at Wimbledon station on Saturday, you might have thought he looked a bit odd too. “OK!” he replied enthusiastically. In hindsight, a little too enthusiastically: when I met him at noon on the station platform, he was wearing his Fulham shirt, a pair of equally white shorts and matching white socks, rounded off with black trainers. Dad had clearly never heard the term “Full Kit Wanker” before, sheltered as he is from the evils of Football Twitter. After suggesting he probably didn’t want to end up going viral, I implored him to change when we met our friends at East Putney. Mercifully, Dad had brought along a spare set of clothes including trousers, “in case we lost” as he reasoned. As a season-ticket holder for 14 years, I sat next to him at pretty much every Fulham home game, experiencing the highs of seeing the club reach a Europa League final and the lows of the Lawrie Sanchez era and relegation under Felix Magath. The latter was a nightmare I didn’t escape when moving to Cologne three years ago. Tell a German football fan that you support Fulham and 99% will respond: “Aha! The Felix Magath club!” They would then laugh while I nervously rocked back and forth, thinking about Brede Hangeland’s unfortunate experience with Quark. 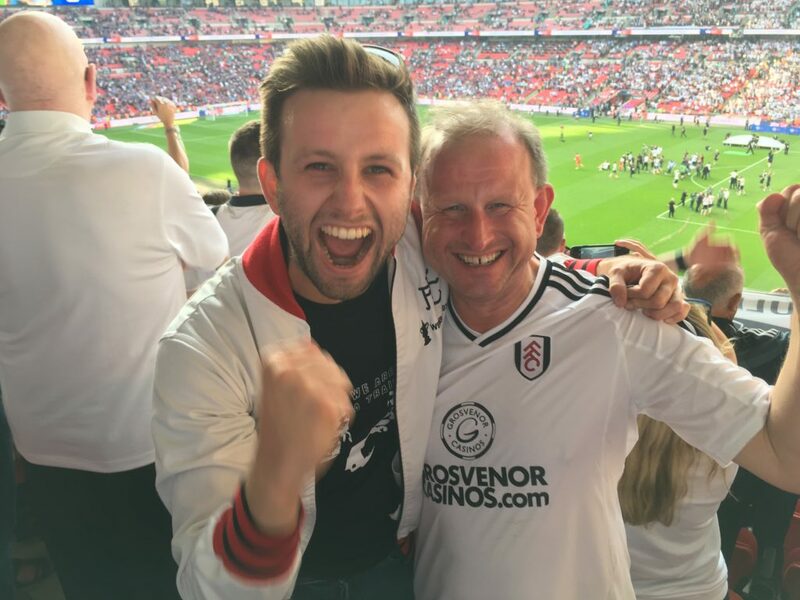 It’s precisely those darker experiences that helped make Saturday poignant – not just to Dad and I but to the 38,000 Fulham fans present at Wembley and beyond. Only Brentford and Southend had waited longer than the 43 years Fulham had endured between the club’s first and second trip to Wembley. In between, as the older generation of our fans will remind you, the club saw far worse than Magath, even briefly occupying second-bottom spot in the Football League some 22 years ago. That was in front of a crowd of just over 2,500 at Torquay, a far cry from the 38,000 who created a white wall at Wembley on Saturday. That 20,000 tickets were sold within two hours of them going on sale tells you everything about the widespread desperation to get there – particularly as that figure eclipses the average attendance at Craven Cottage this term. Perhaps that has something to do with Wembley being just eight-and-a-half miles away, and the fact that we’ve been to almost every other ground in the country since our last trip to the national stadium. The longing increased with each passing season, particularly as local rivals Brentford, QPR and Chelsea had all enjoyed visits in the last five years. “So what?” you might say, pointing to the Europa League final in 2010. True enough, but this was different – a big day out just down the road. 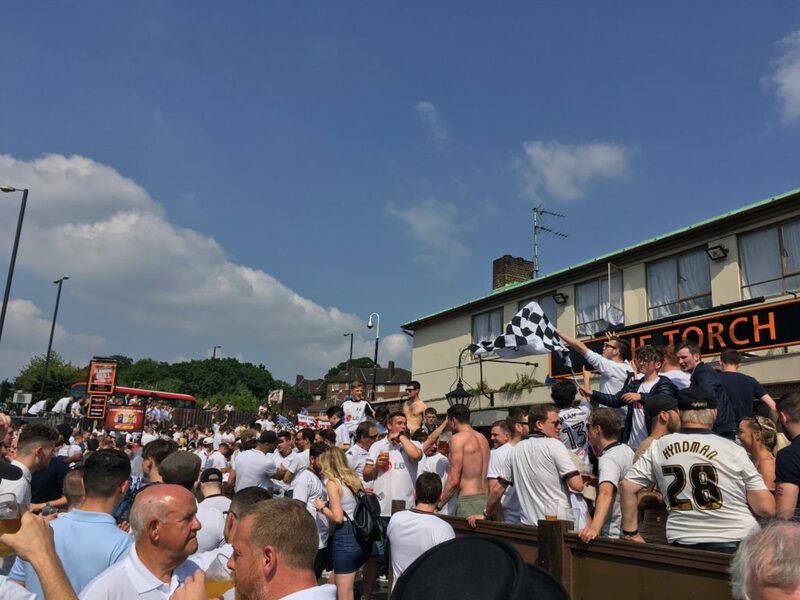 How special it was to be out in the sun at The Torch just off Wembley Way, rammed with Fulham fans resplendent in white who managed to get through the pub’s supply of gin and tonic by two o’clock. Each time an open top bus arrived, the noise cranked up a notch further. Best of all, though, was simply being there with the people that you’ve experienced it all with – from the Intertoto Cup win against Bologna to going 33 games without an away win, via a few cliché Tuesday nights in Stoke. The downside? Not everyone was fortunate enough to have all their friends and relatives present on Saturday, although the occasion did at least give them a chance to feel that bit closer once again. For one mate of mine, a home-and-away regular, reaching Wembley meant he could have the day he always wanted with his grandad, who was recovering after being diagnosed with leukaemia in September. Saturday was very much about people like those two. It also contributed to a little cry I had before kick-off. Going to Wembley with Dad to watch Fulham play had always been on the bucket list. Knowing how much that would have meant to Grandma, an avid Fulham fan who passed away last January, meant a few tears slipped out. I hadn’t done that at a game in 15 years (a 4-0 home defeat by Blackburn the previous culprit) but come full-time, I’d end up doing the same again. A large dose of joy was delivered by Tom Cairney’s goal in the first half, which resulted in me hugging a man to my left who I’d never previously met. That was Fred, a gent of a slightly greater vintage, illustrated by the fact he was at the 1975 FA Cup final when Fulham lost to West Ham. By the end he felt like a friend, but only after a level of suffering I can’t remember having ever experienced as a fan. Denis Odoi’s red card in the second half only made things worse. Never before has time gone so slowly as in those final few minutes, but it then accelerated to the most incredible speed in the blur of ecstasy and relief that followed the full-time whistle. Amid more tears (which many others were shedding too), a double take was required when I glimpsed goalkeeper Marcus Bettinelli legging it around the pitch with a black flare held up in his right hand, a moment which encapsulated the madness of it all. Then on the other side, you had John Terry – not someone who you would describe as being popular outside of Stamford Bridge, let alone down by the banks of the River Thames. Chelsea have ruffled our hair for a countless number of years, so you can imagine why this victory felt even sweeter due to Terry’s involvement. 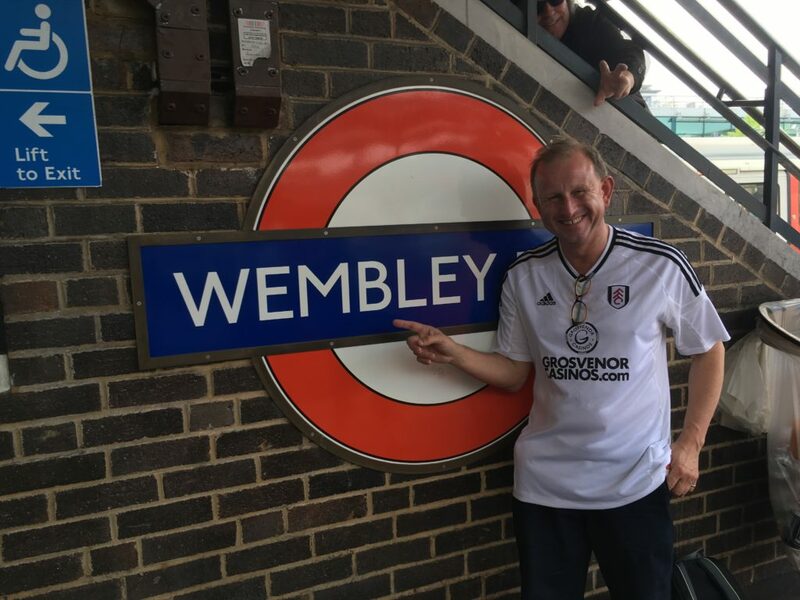 Quite possibly, but even if that is the case, me and every other Fulham fan will just think back to Saturday at Wembley – we quite simply haven’t had a day like it. For the record, I don’t think Fulham will get relegated next season. But hey, for all those pessimists out there, at least the parachute payments are substantial. Right, Dad?